Slip-on, comfortable, after sport moc. Constructed from strobel for extra comfort and flexibility. Inner lining treated with Aegis antimicrobial solution that sustains foot comfort. 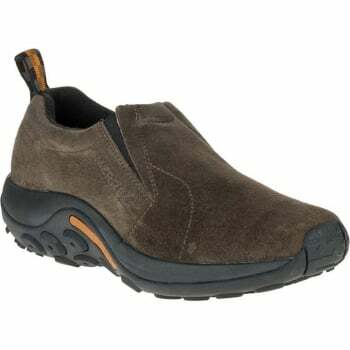 Features Ortholite anatomical footbed. 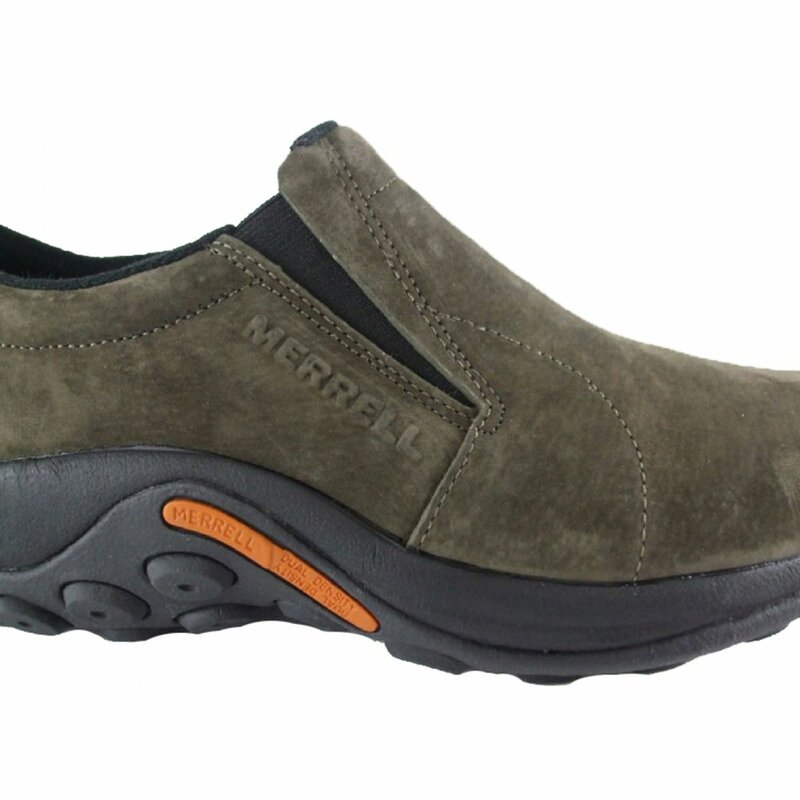 Merrell air cushion in the heel: Air compresses and expands as you take a stride acting like shock absorbers therefore dissipating shock away from your knees. 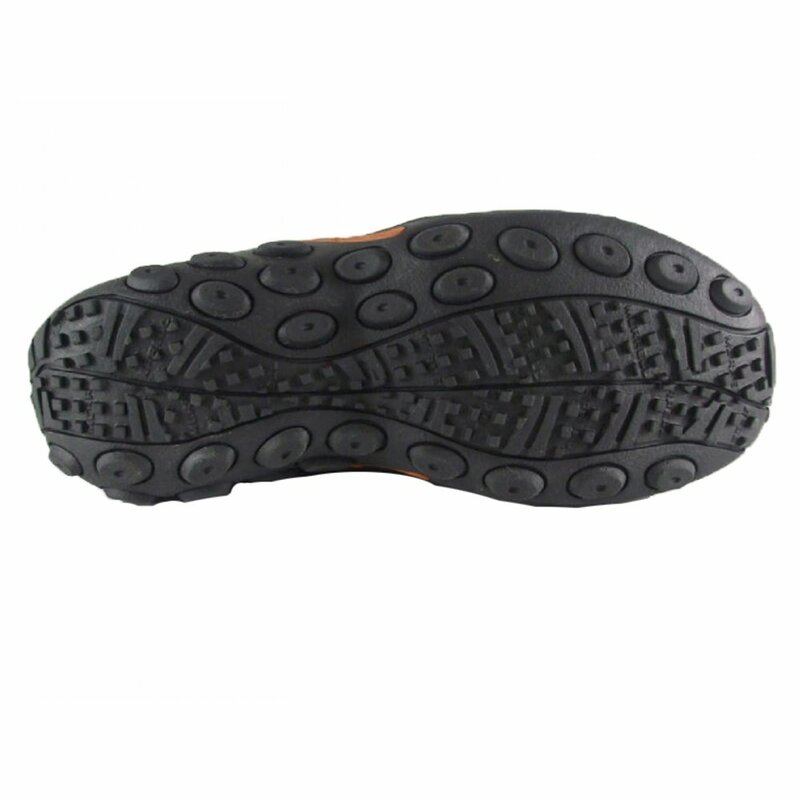 Merrell jungle runner sole / sticky rubber.Please note this footwear has blemishes / colour variance and scratches which are the characteristics of this footwear.